When I returned back to Indonesia just few months ago, my mom informed me about this new “trend” that’s hot in there these days and healthy to consume, the Mangosteen Tea. 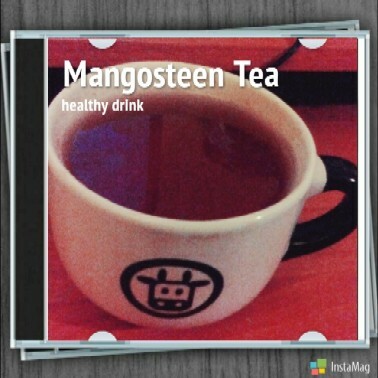 This is a very natural herbal tea or drink that is made of the peel of mangosteen. According to research, it has been found that the mangosteen tea made of its peel contains of uncountable health benefits that can change your life and make you want to drink it regularly. What are they? Mangosteen is a fruit that’s very common to eat in Indonesia and other Southeast Asian countries. It’s a great source of natural fiber, energy, carb, water and even protein. When the research about its peel was conducted and the health benefits were found, some Indonesians usually just boil the mangosteen peel and drink the water. Some prefer to do that for two reasons: first is because it’s fresher directly from the fruit and has stronger taste; second is because the mangosteen tea costs quite a lot for Indonesian standard around €3 per 100 grams (the one I bought). Previous Loving Old City? Come to Brescia!